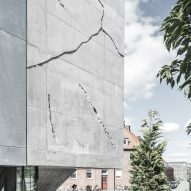 Cracks in the concrete facade of this office block in Aarhus by Danish architecture practice Sleth provide glimpses of the building's illuminated interior. 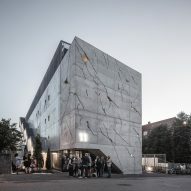 Copenhagen-based Sleth created the office block's unique concrete facade to help it integrate with its ageing post-industrial setting. 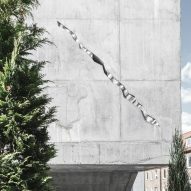 The facade of the Sonnesgade 11 building is embellished with sparsely spaced cracks that aim to strengthen the connection between interior and exterior spaces. 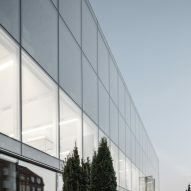 Swathes of semi-translucent glass and an external staircase are used to further enhance the building's transparency. 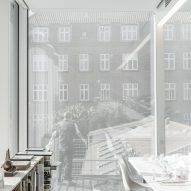 "The building's expression is a collage of elements reflecting the surroundings," said the firm. 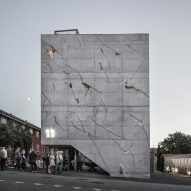 "Six facades create a dialogue with the mixed, vague context." 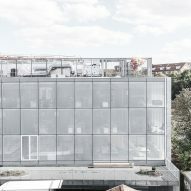 Offices largely occupy the three upper levels, but the building also incorporates a restaurant and a shop at ground level. 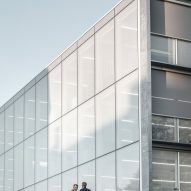 All four levels of the building are open-planned and designed to serve several different functions – a key design objective for Sleth. 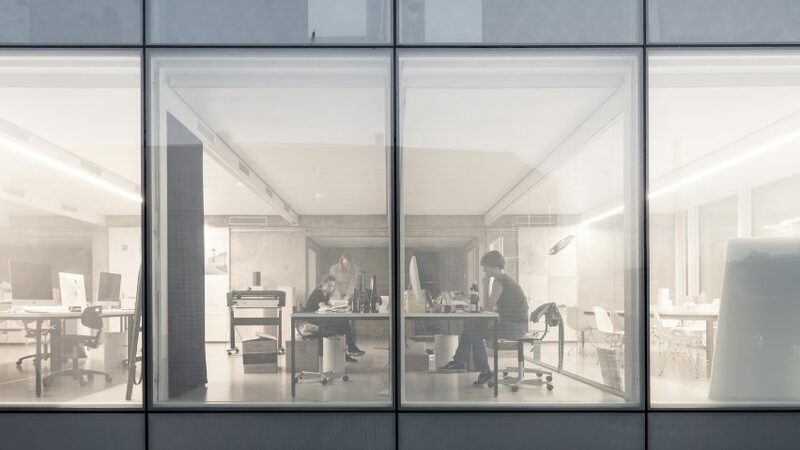 "The building has a high degree of flexibility and interaction between the floors, which enhances meeting situations between different users of the building," explained the firm. 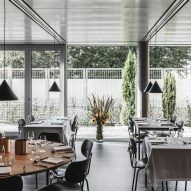 A sloping asphalt landscape, which features bike stands, terraces and gardens, surrounds the building and acts as a congregation area for staff. Further storage and a parking garage have also been disguised beneath the building's landscaping. 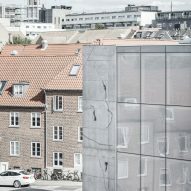 Situated in the former industrial area of Sonnesgade in Aarhus, the office building has been constructed as part of the area's wider rejuvenation. 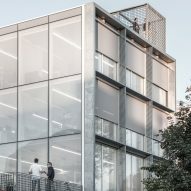 "The starting point for the design of the new office building was an ambition to reuse and rethink the spatial and material quality of the former industrial site," said Sleth. 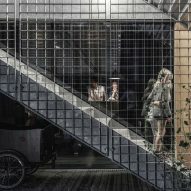 The surge of redevelopment in Aarhus includes a proposal from Bjarke Ingels Group for harbourside swimming baths and beach huts. 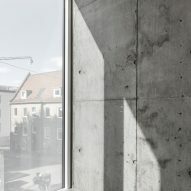 Schmidt Hammer Lassen and American artist James Turrell are also working on their plans to design a domed extension to the ARoS Aarhus Art Museum.